Ansel Dow was born in September, 1993 and started playing violin when he was just 4 1⁄2 years old. His teacher was Linda Wickes – a wonderful person who taught the Suzuki method. At the young age of 6 or 7, Ansel started learning tunes from the Renaissance and would busk at the Shrewsbury Renaissance Faire. Since the tragic passing of Linda Wilkes in 2004, Ansel has taken classical lessons from Dan Flanagan (who now lives in California) and now Matt Fuller. He’s participated in chamber groups at the University of Oregon’s Community Music Institute and played in the Arts Umbrella’s Junior Orchestra. He also plays in the String Ensemble at Roosevelt Middle School. Ansel started playing Irish and Scottish music after listening to his mother practice the same fiddle tunes over and over again as she prepared each week for her fiddle lessons. That’s all it would take – he then knew the tune and could play it better than his mom! He started playing at the Wednesday night session at Perugino’s in Eugene in 2003, where he met Alison Helzer and soon after they started playing gigs and busking together. Ansel also plays the great highland pipes with the Eugene Highlanders. He started at the age of 9 and his teacher is Hector Smith, the pipe masterfor the Eugene Highlanders. Ansel’s interest in learning to play the bagpipes started when his mom took him to Café Zenon for St. Patrick’s Day for dinner every year to hear the Eugene Highlanders play. He also likes playing them because they are one of the loudest instruments on Earth without amplification. Daphne Garcia began playing music in the 5th grade. Her first instrument was the French Horn, but her interest in jazz quickly led her to take up the trombone. Daphne has been a member of the Pleasant Hill High School jazz band, Solar Jazz, since she was a freshman. She is currently the lead trombone player in the group. Daphne has been playing guitar for a little over two years. David Garcia was born in 1989 and has been playing music seriously since 1999. He, along with his sisters, played in the Pleasant Hill Elementary Concert Band and now is one of the top performers in the award-winning High School Band, Solar Jazz. 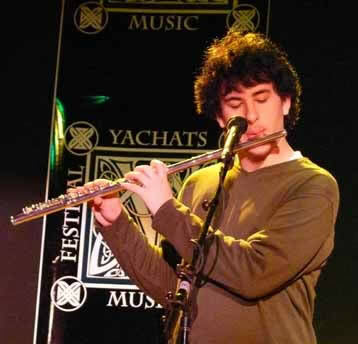 While David's primary instrument has been the saxophone, his versatility as a musician becomes evident with his easy transition to tin whistle, flute, and octave mandolin for Tonn Nua. In addition to his accomplishments as a musician, David has been an honor student (currently holding a 4.1 GPA at Pleasant Hill High School) and has earned many awards for his scholarship over the years. Zoe Garcia is one of the infamous Garcia triplets born October 16, 1989 in Eugene, Oregon. At age ten, she began playing the flute for the Pleasant Hill Elementary Concert Band. 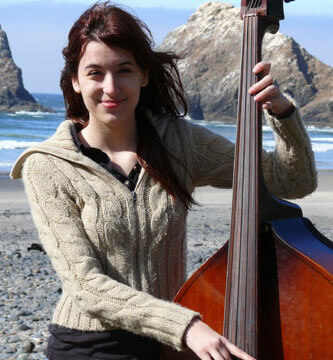 By age thirteen, Zoe was playing bass in the Pleasant Hill Jazz band, and for the past three years has been a member of the award-winning High School Jazz Band, Solar Jazz. Zoe originally played with Tonn Nua as a guest performer in 2005, and it wasn't long afterward that she - and her siblings - officially joined the band. 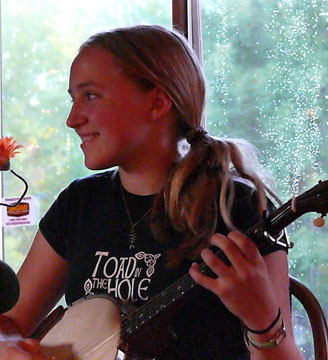 Alison Helzer picked up the tenor banjo at age ten and hasn't put it down since. She also plays tenor guitar and mandolin, and is interested in learning tin whistle and fiddle. 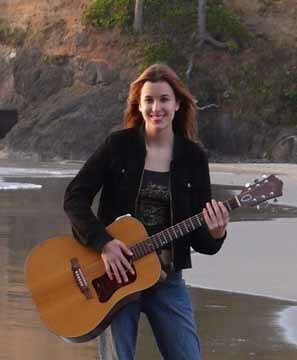 Alison's inspiration for putting together a band came after attending the Yachats Celtic Music Festival in 2004, where she had the opportunity to jam with Anthea Lawrence, Casey Neill, and Kathryn Claire. At the time, Alison was already friends with Ansel and the two had teamed up to busk at the Saturday Market; the later addition of the Garcia's to the mix has only made the experience more fulfilling. Favorite Food: "It's cheese, Gromit, cheese..."